Summer is just around the corner and that means – SUMMER CAMP!!!! Our camps are usually 50% or more returners because we have low staff/child ratios, super fun classes, lots of community time to make friends, and one of the coolest locations ever. 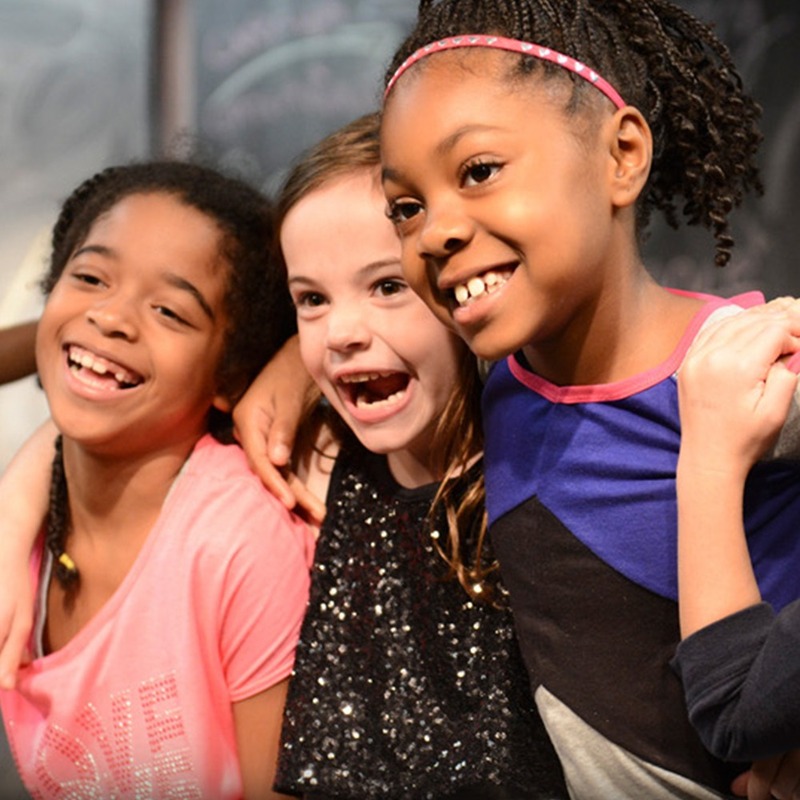 In the Hideout Camps kids learn the basics of improv, story telling, and stagecraft mostly through playing games – because you learn better when you are having fun! Everyday we play games, create stories, perform scenes, do crafts and generally have a blast. On the final day we show off our amazing new skills in a performance for friends and family. *For the kids half-day camps, we’re excited to offer an extension through the afternoon, for only $100 more. The afternoons will include games, more relaxed fun, and optional naptime/movie for kids, with pickup at 5pm. 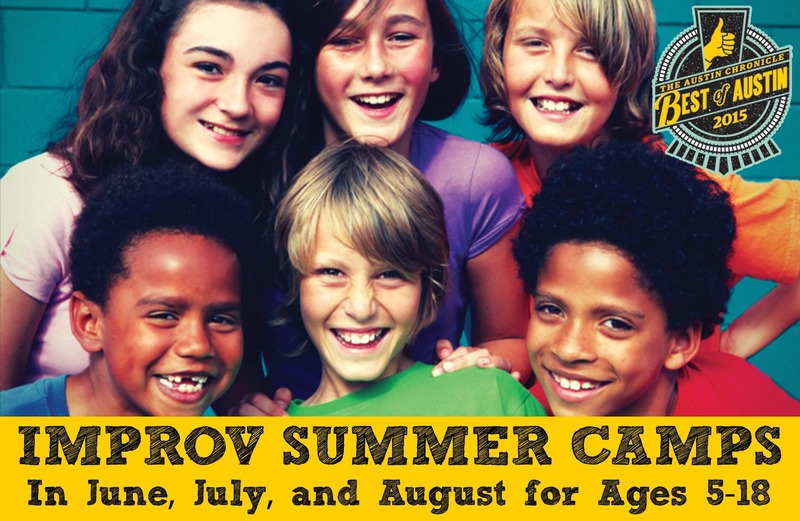 For more information about The Hideout Theatre’s Improv Summer Camps, email jessica [at] hideouttheatre.com, or call (512)443-3688, extension 4. The Hideout Coffee House is offering brown bag lunches for $8 if you order in advance. 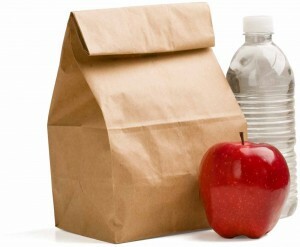 Once you have registered for camp, go to the Summer Camp Lunch page to order your lunches! This year we are excited to offer an Advanced Camp. This is a camp for kids who have already taken a class or camp and want to push their skills further. We’ll play some of the old favorite games, but we’ll also investigate the next level of improv – strong characters, narrative structure, creating worlds together and how to make improv even more exciting and challenging. This is the perfect class for the kids who want more from their improv experience. If you need to cancel anytime up until a week before the start of the camp you are registered for we will refund you the price you paid, minus a $50 administration fee. If you want to transfer to another camp there will be no penalty. If you cancel with less than one weeks notice, we will refund you half of the price you paid, or allow you to switch to another camp minus a $50 administration fee. If you don’t show up or cancel after the start of the camp there will be no refund unless you have a doctors note, or other compelling emergency. In these cases you will only be issued a credit of the amount you paid for another camp, or class at the Hideout Theatre minus a $50 administration fee. All Cancellations should be in writing – email is preferred.